RAPAPORT... Three financial institutions have agreed to guarantee a $125 million loan to Botswana’s diamond-manufacturing industry to strengthen the nation’s economic growth. 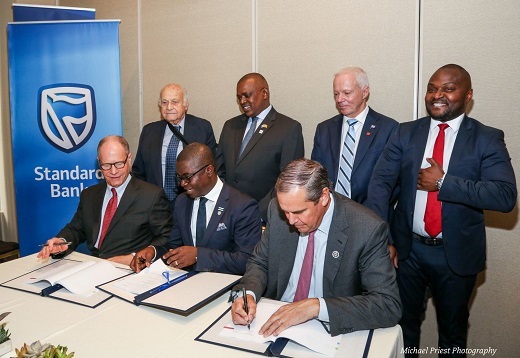 The US government’s Overseas Private Investment Corporation (OPIC) has partnered with Botswana Finance — a subsidiary of diamond-manufacturing company Lazare Kaplan International (LKI) — and Stanbic Bank to provide the loan. It’s the second portion of a $250 million OPIC loan guarantee that will establish a revolving facility in which OPIC will share the credit risk, the organizations said recently. Barclays Bank of Botswana provided the first installment in 2016. The trio’s objective is to help diversify Botswana’s economy, drive the development of the local financial sector, and give local companies access to financing. The guarantee will also have positive effects outside the diamond industry, including on the electricity, finance and business sectors, Stanbic CEO Samuel Minta added. In July, OPIC launched its Connect Africa initiative, which seeks to invest $1 billion in projects throughout several sectors over the next three years.